A Weekend of RECLAIMING, REWILDING & RECONNECTING to the Wildest and Most Empowering Aspects of the Feminine! Open to your ecstatic wild woman nature! 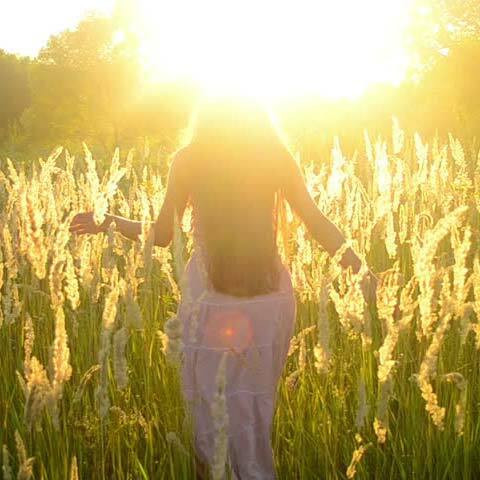 Awaken to the healing power and creative potency of your divine feminine! Reunite your Divine Feminine with the Sacred Masculine within! Once we've opened to the feminine, we’ll invite the sacred masculine within to step up and meet these powerful, sensual, wild woman aspects. The sacred masculine holds the key to unlocking the full potential of the feminine. When the masculine within operates in a strong, healthy way, a woman is able to bring her dreams into reality and cement her creative endeavors into this world. The Sacred Union of the feminine and masculine within also opens the door to deep, fulfilling, intimate relationships that hold passion, equality and the deepest love. The weaving, balancing and uniting of these 2 energies leads to ultimate healing and empowerment for a woman. In this deeply experiential workshop, we'll use a variety of practices from the sacred traditions of shamanism, tantra and astrology. We’ll use ancient women's practices to get past our rational minds, past our egos and into the depths of our beings - where the real power and magic awaits. Over the course of 2 days, we'll weave together meditation, energetic healing, shamanism, astrology, tantra, womb awakening, archetypal psychology, and the mind-body connection. 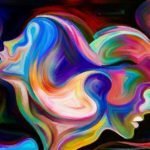 We'll work with an extremely powerful technique once used in the ancient goddess mystery traditions to invoke and commune with various archetypes (or parts of self). No previous experience is necessary! This work is open to all women who are willing to go within and experience their ultimate feminine power. What's possible in this workshop? We know this sounds almost too good to be true but we wouldn't say these things if we haven't either experienced them in ourselves or watched them happen in other women. When women gather in sacred space, magical things happen. We come into rhythm with nature's cycles and deep feminine wisdom. We discover and open to the tribal sisterhood of support we've longed for. From this place, we find grace which heals and transforms. We gain the strength to shed unwanted layers so that we can live more authentically and soulfully. When we open to our fullness as women, the effects ripple out into our entire lives. Women participating in ReWilding have come into alignment with their deepest soul's purpose, healed ancestral lines, found a supportive sisterhood, opened to pleasure and bliss never experienced before, attracted amazing partners, embodied a new way of being, and found a deep spiritual connection they had previously only imagined. This journey will transform your relationships, your connection to Self, and your life! We're dead-set on making this deep dive journey into the feminine affordable for the women who are called to it. While other events that go to these depths are typically offered at $900-$1000, we're offering this workshop for only $397 US per person. If you're looking for accommodation nearby, we recommend Airbnb or hotels.com. There are great options in Alderley Edge (5 mins), Wilmslow (7 mins) and some of the smaller villages near the venue. There are B&Bs, Hotels and some great pubs. You'll want to book soon though, because the area is attractive and the best ones will go fast. For those preferring the big city, Manchester is approximately a 30 min train journey to Wilmslow, and then a short taxi ride. If you are traveling by public transport, the venue is just a short taxi ride from either Alderley Edge or Wilmslow, both of which can be reached by train. For those flying in, Manchester Airport is approx a 15-min drive. Pre-workshop preparation video series outlining the 5 faces of the feminine (includes at-home practices to deepen your experience). Post-workshop follow-up email with workshop playlist and additional practices to support your continued unfolding. A beautiful spread of snacks and drinks during breaks. In order to keep this a small and intimate gathering, we've limited the number of women who can participate to 24. Our workshops and retreats sell out often times well in advance of the program date. If this workshop calls to you, please book as soon as possible in order to reserve your seat before they're gone. NOTE: Tickets are non-refundable, but fully transferable. If you can't attend, send a friend, she'll thank you for it! I'm very much looking forward to taking this ReWilding Journey into the Sacred Feminine with you! Sabrina Lynn, founder of ReWilding for Women, has impacted the lives of thousands of women across the globe. She is one of the most passionate and deep-diving personal development trainers in the world. Having taught in some of the largest organizations in Australia (Commonwealth Bank, Tourism Australia, UNSW, BHP Billiton, QBE and WNBN) she combines her common sense, down-to-earth approach with depth, wildness and raw power; which are the unique signatures of her ReWilding work. She facilitates at a depth where remarkable transformations, healings and openings in women's lives are a common occurrence. Sabrina brings 12 years of teaching, facilitating, consulting and coaching experience into her work. She's studied, practiced and taught archetypal psychology, neuroscience, leadership, shamanism, energetic healing, meditation, astrology, tantra, physiology and mind-body connection. "I feel like I am peeling back layers"
"It blew me away to observe and hear the 'change' in all the women"
"Working with Sabrina in this beautiful sacred space, I felt not only my own transformation but it blew me away to observe and hear the 'change' in all the women around me, just over the course of the day. This was a divine experience to be a part of. The release and the empowerment was un-deniable!" "Continuing the inner work with Sabrina has helped me become more aware of my truth, of who I am!" "Loved, loved, loved the ReWilding Workshop! "Rewilding has unlocked every element of me"
"Rewilding has unlocked every element of me, now I fully appreciate that there is darkness, there is lightness, there's a lover, a warrior, a mother, and I ... am ... a ... Goddess!!" Join us for this Deep Dive Journey into the Mysteries of the Feminine! This workshop is fully booked. To join our waitlist, please email support@rewildingforwomen.com.